Every department should have at least one heavy duty table to safely lift a very heavy patient to a suitable treatment height when the need arises. 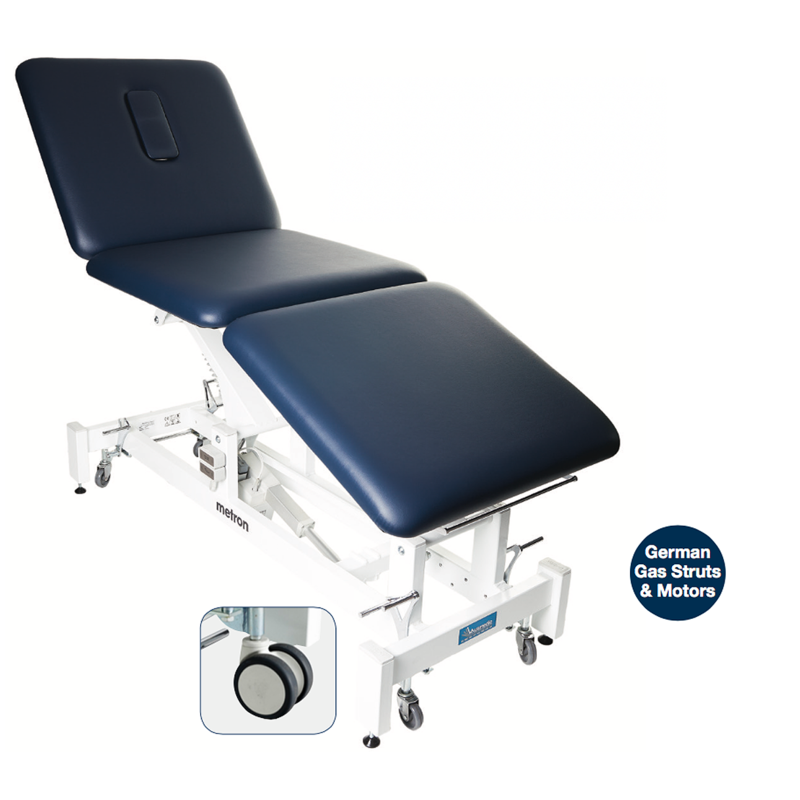 Also suitable for all general treatments, this couch can be fitted with dividing legs, arms and a variety of extras to expand its use. Metron Colour range – please contact us for custom orders.